Star backing for Ready, Steady Bake! GREAT British Bake Off 2018 semi-finalist Briony May Williams visited St Peter’s Hospice in Bristol in January ahead of the charity’s 2019 Ready, Steady, Bake fundraising campaign. Briony brought a delicious cake for hospice patients and staff to enjoy and took time to visit patients and their families. 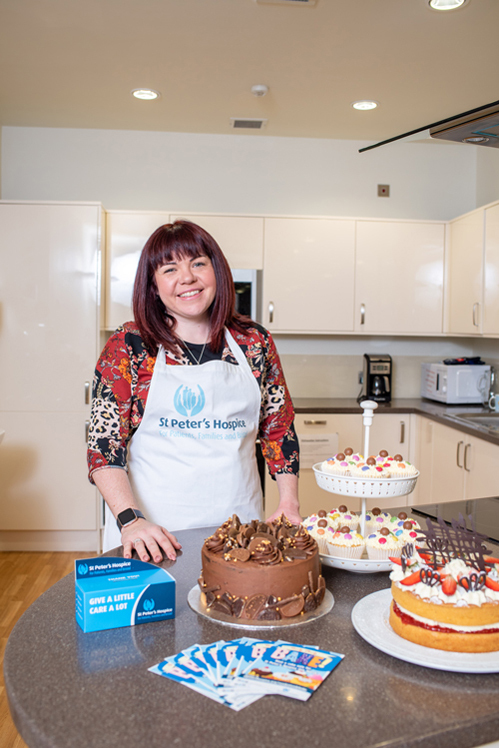 During March, the Hospice and Briony will be encouraging as many people as possible across the Bristol area to don their aprons and hold cake sales and tea parties for Ready, Steady, Bake to help raise vital funds for St Peter's Hospice. Briony said: “I'm really looking forward to Ready, Steady, Bake. It’s nearly time for the people of Bristol to roll up their sleeves and get baking! Briony, who lives in Horfield with her family, enjoyed huge success on The Great British Bake Off last year and has since visited the Hospice twice to show her support for the Bristol charity. St Peter’s Hospice Community Fundraiser Maddy Alton said: “We are thrilled to have Briony’s support for Ready, Steady, Bake this year. Everyone at the Hospice loved meeting her and thoroughly enjoyed her cake!